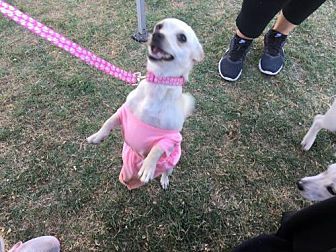 Sweet Pea was found running free along a busy Phoenix street. After one month of trying to find her owners, this 1 1/2 year old sweetheart is now up for adoption. Sweet Pea is shy at first but that doesn't last long. She bonds extremely fast. 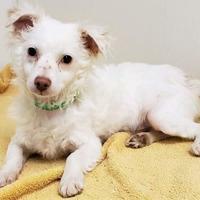 She loves to play with toys and would love it if she had a canine sibling to play with but not necessary. She still has that puppy energy. She listens well and will even wait until you say it is ok to eat her dinner. 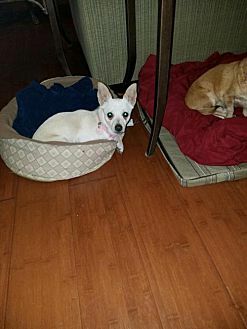 In her current foster, she is learning quickly from her foster Mom and canine siblings. She took to the doggie door immediately. 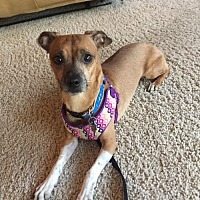 Sweet Pea loves treats and when its meal time, she couldn't be more excited. She's petite but has a great appetite! 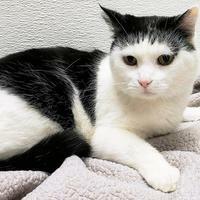 She absolutely loves to hang out with her people so if you are looking for a companion to bond with, she is the one for you. TOYS! Couldn't be happier with toys! 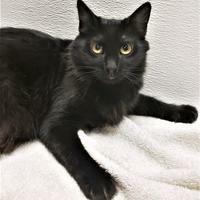 She is up to date on her shots and was spayed on 02/21/19. She is now waiting for her forever home. 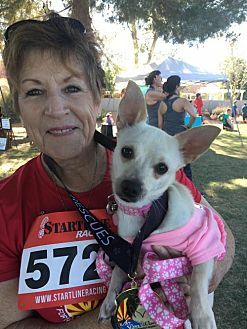 If you would like to meet Sweet Pea, please go to our website at azpawsandclaws.com and fill out an Adoption Interest application. One of our team members will contact you. Thank you for rescuing!